"Alternative education" encompasses a diversity of schooling types and organizations. International Perspectives on Alternative Education presents some of the many interpretations of the term to stimulate discussion about the multiple purposes of these interpretations. It explores alternative forms of schooling from the position of academics, policy workers and those working (and studying) in such schools in many parts of the world. The accounts of first-hand experience working and leading in alternative schools, and also from those working at the policy level in national contexts, bring alive their dilemmas and challenges. Complementing these are the academic contributions, which examine over-arching questions about social justice and the meanings of achievement, success, choice and purpose across education. The issue of "alternative education" and why it is relevant in today’s educational landscape is an international one, and the book draws on contributions from Australia, Indonesia, Korea, Denmark, England, Germany, Scotland and the United States. The book will be of interest to all educators, teachers, academics, students, policy workers and others concerned about issues of social justice and education.
" 'The books that mean the most to me are the books that teach us subversion, subversion in the face of the world as it is, books that suggest the honour of an alternative.' So said John Berger, one of the greatest public intellectuals of his generation. Much needed in increasingly troubled times, this book not only suggests the honour of an alternative education, but grounds its possibility in the contexts of local, national and international realities." 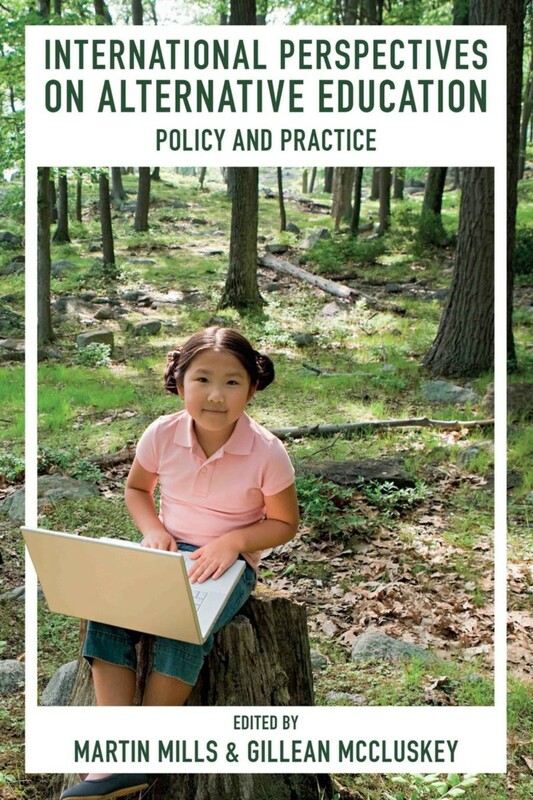 "The insights offered by the alternative education approaches described in Mills and McCluskey’s stimulating collection are not only invaluable to researchers, policymakers and practitioners committed to improving this growing education sector, but will also benefit mainstream schools around the globe." "This fascinating book highlights the global complexity and diversity of alternative educational approaches and provision. A strong focus on social justice directs the reader to better understandings of education that help rather than hinder equity and well-being." "As we look to the future and realize the urgent need to reform schooling to create parity of participation, this is a most needed and timely book. This collection will provoke the pedagogical imagination of what is possible when we reframe schooling through a social justice lens and consider the rich alternative schooling frameworks that enable educational transformation." Martin Mills is Director of the Teachers and Teaching Research Centre at the UCL Institute of Education, University College London. Gillean McCluskey is Senior Lecturer at Moray House School of Education, University of Edinburgh.